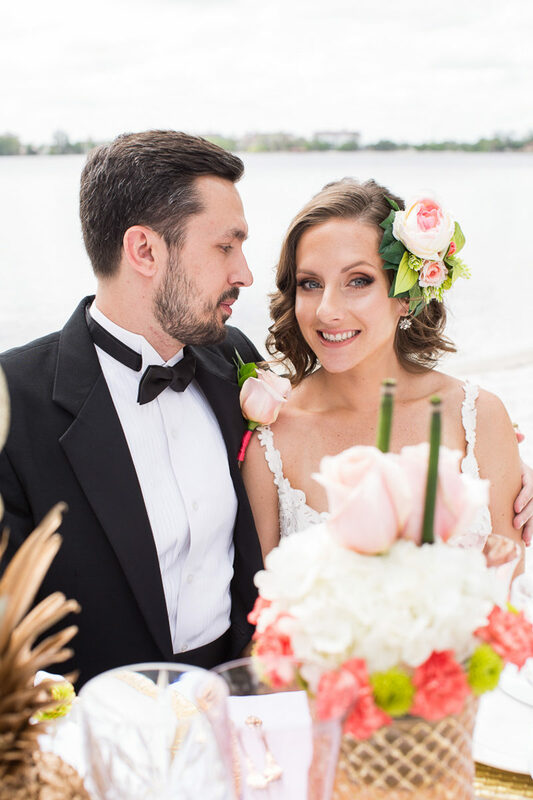 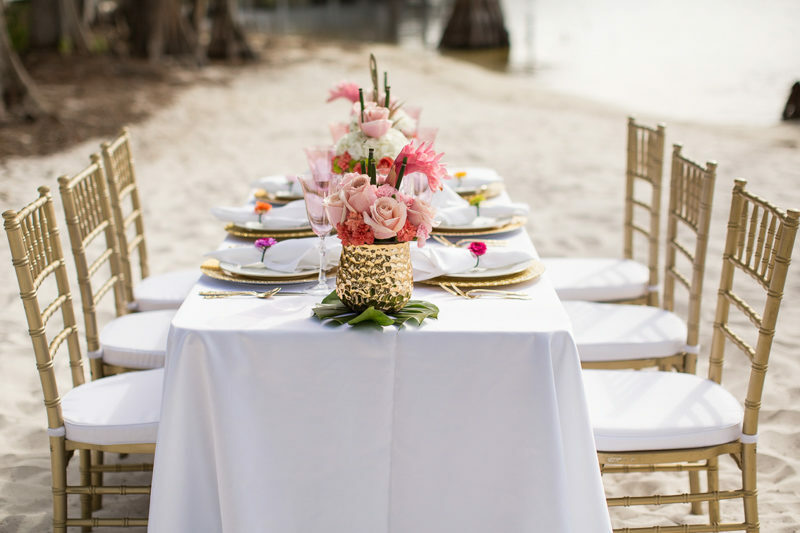 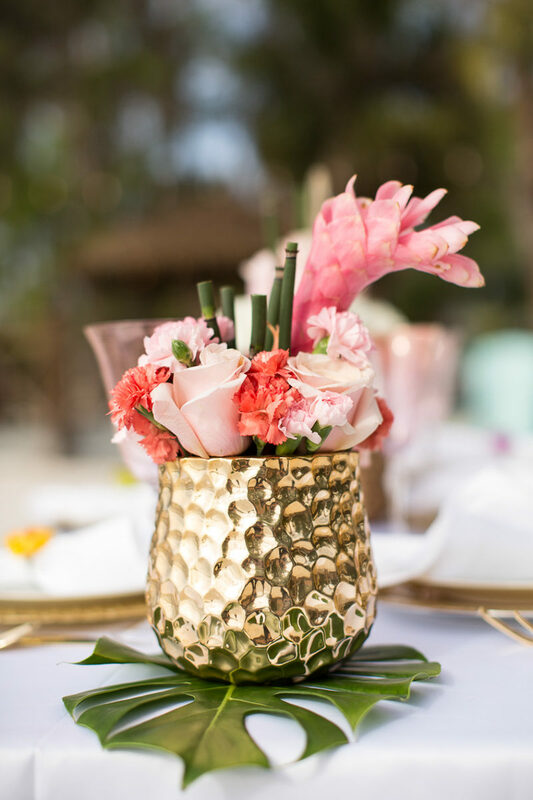 Inspired by the Hawaiian Islands, this elegant, tropical styled shoot was right at home in Paradise Cove. 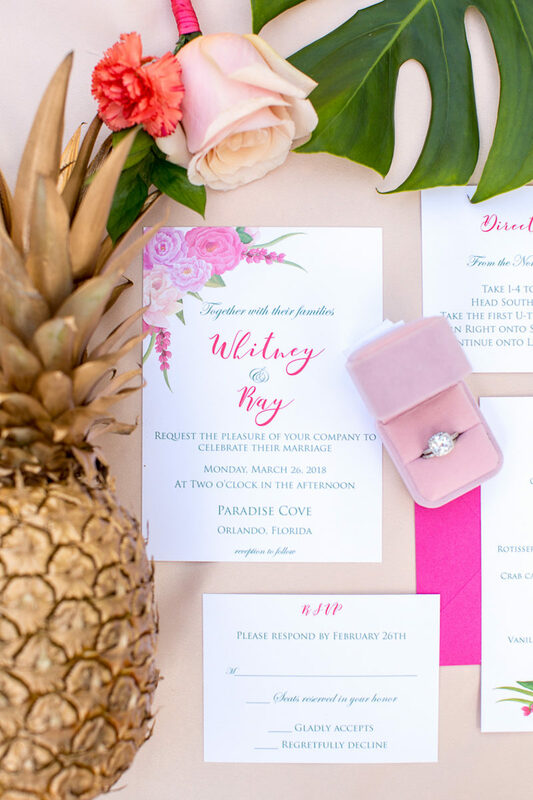 Bright warm florals mixed with pineapples and gold accents to create a lush wonderland. 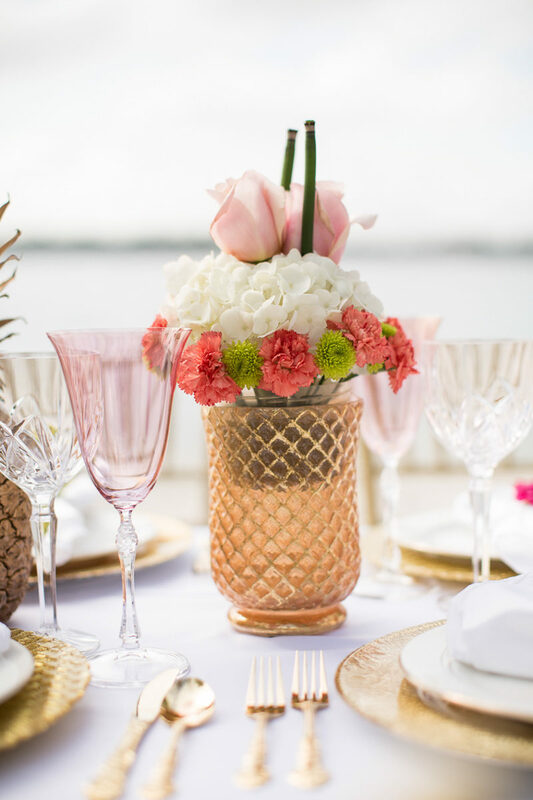 We can almost hear the island music playing in the background! 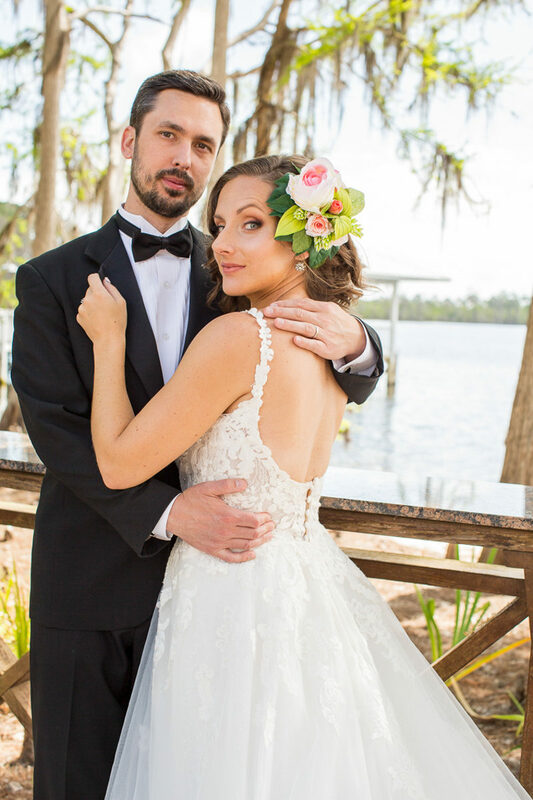 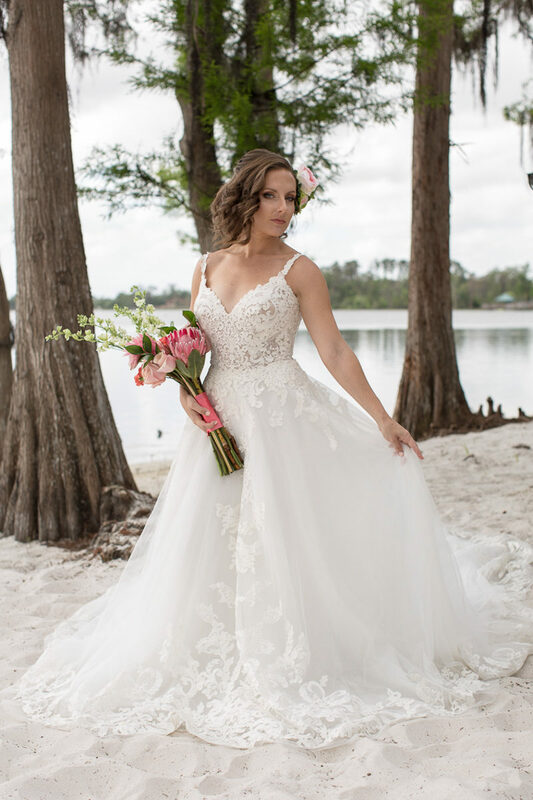 A gorgeous, long train stretched out behind the model bride's lacy gown, and a silk floral headpiece was the perfect finishing touch to her look. 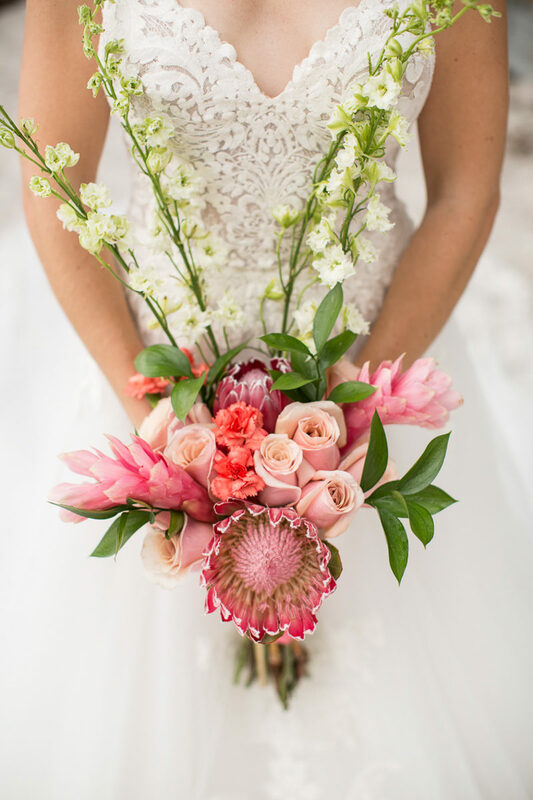 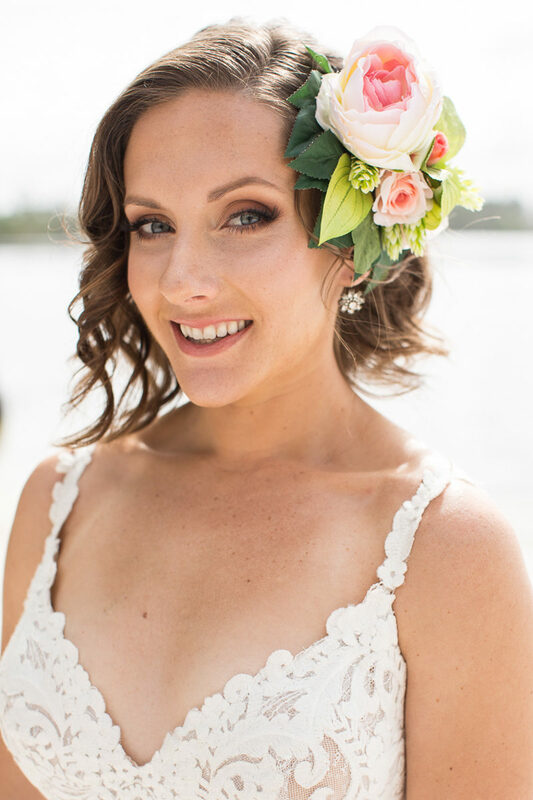 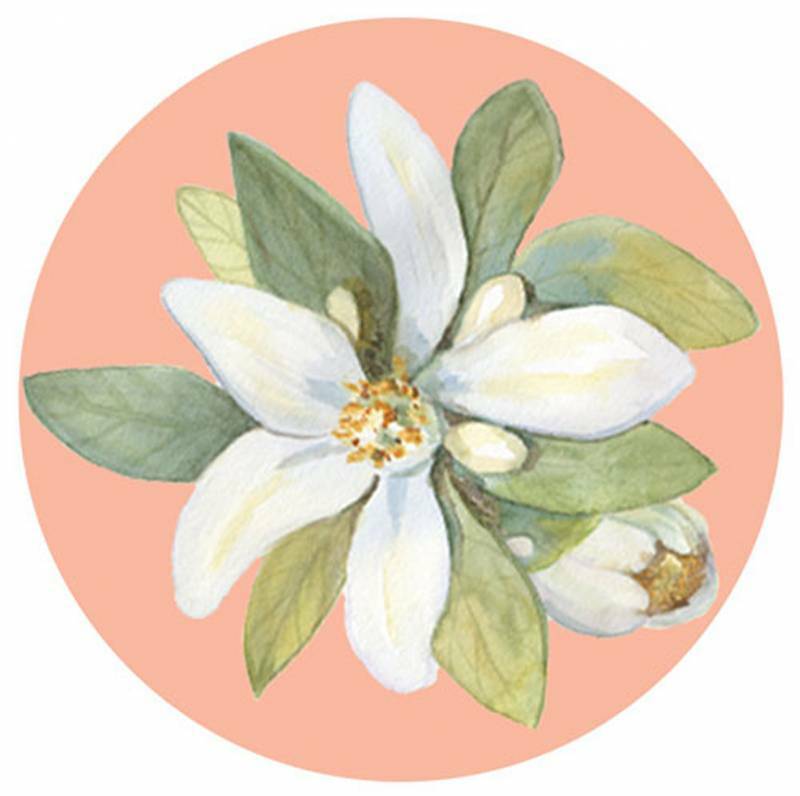 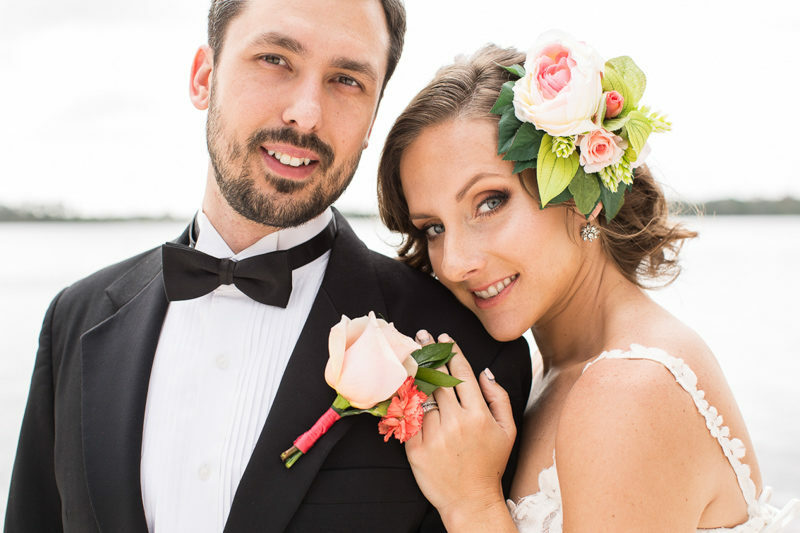 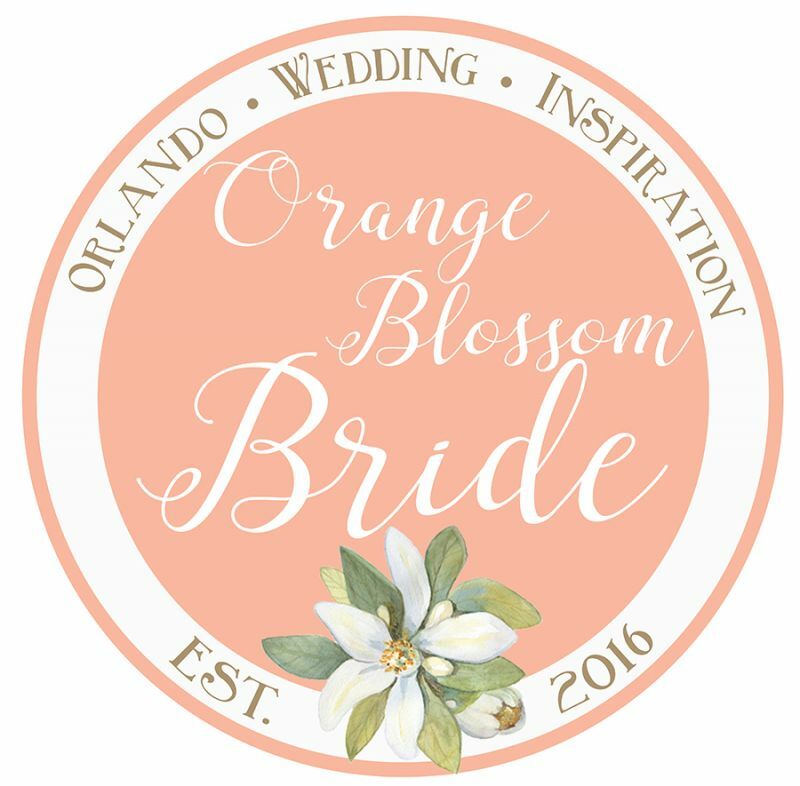 The bridal bouquet was a beautiful mix of roses and exotic flowers, and we bet it smelled amazing! 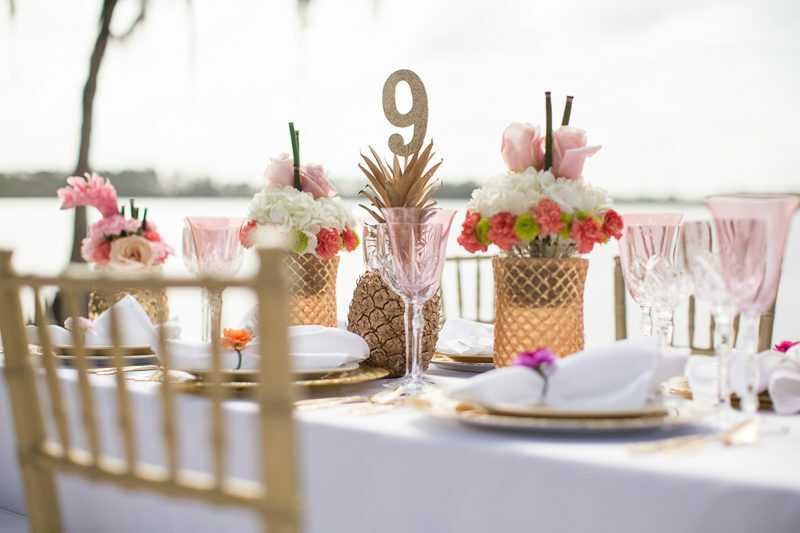 Set up right on the sand, the reception table was decorated with gold pineapples, palm leaves, and bits of bamboo. 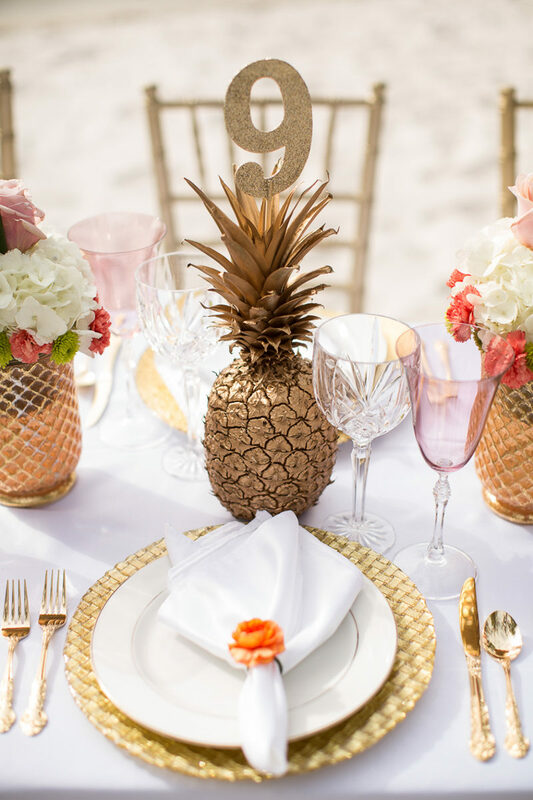 Each place setting was set with gold chargers and silverware. 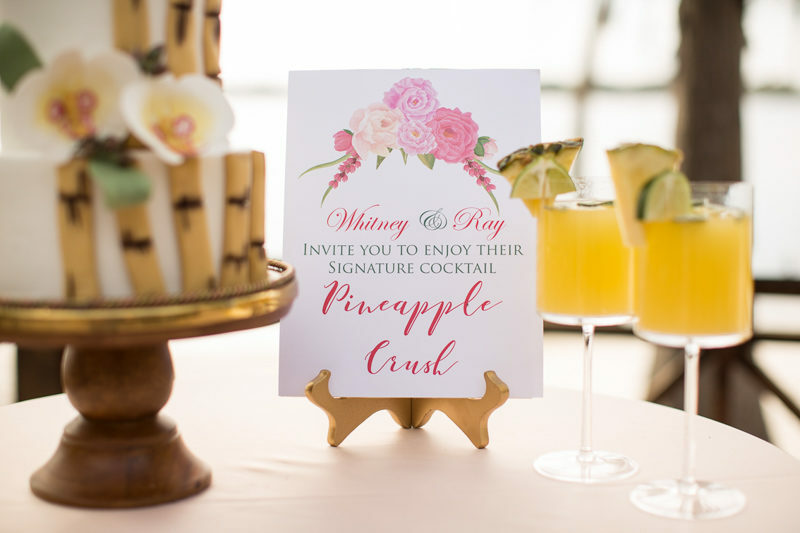 Signature pineapple cocktails looked incredibly inviting and refreshing, and the cake they sat next to looked just as tasty! 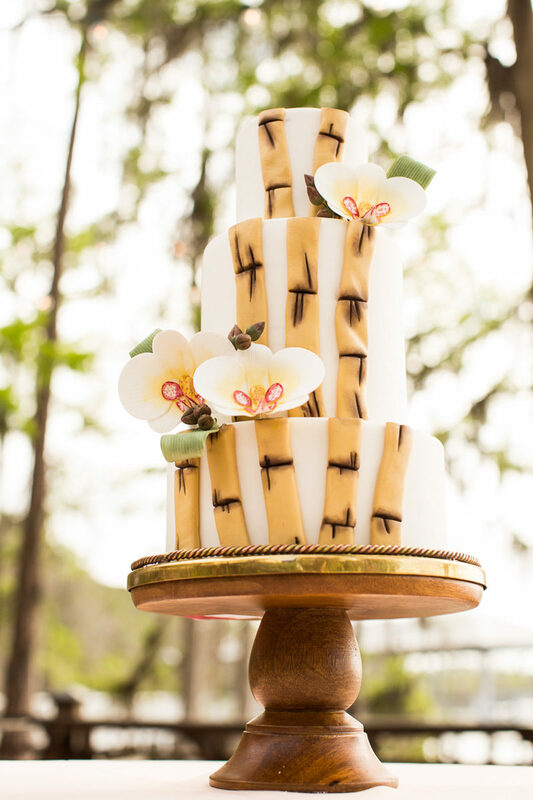 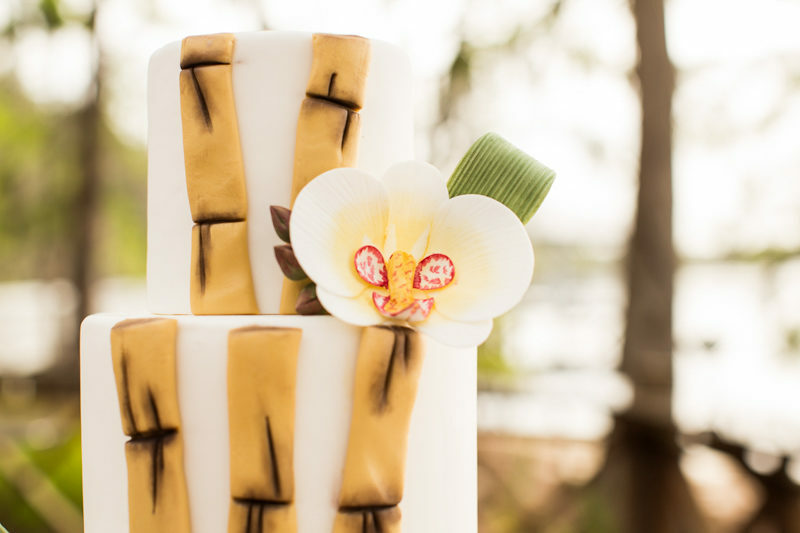 Orchids and edible "bamboo" made for clean, stylish cake decor. 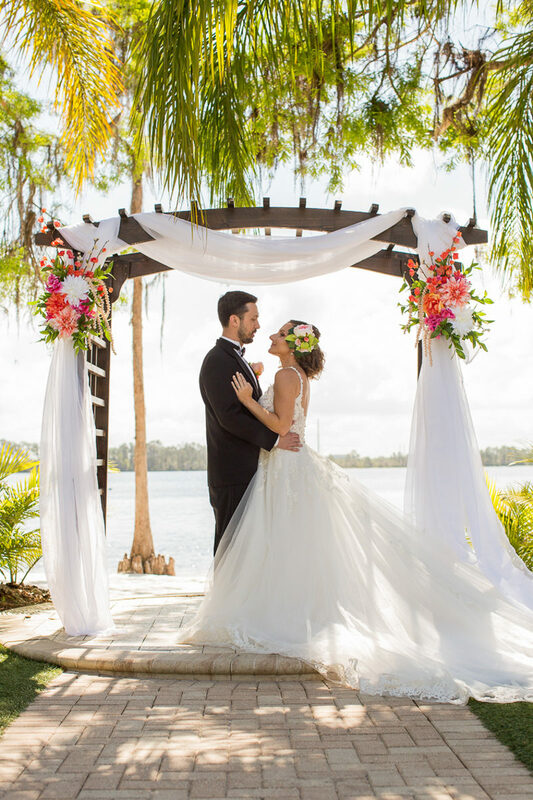 What a perfect setting for a day in paradise!